Simple Quinoa Salad with Cilantro Chutney. 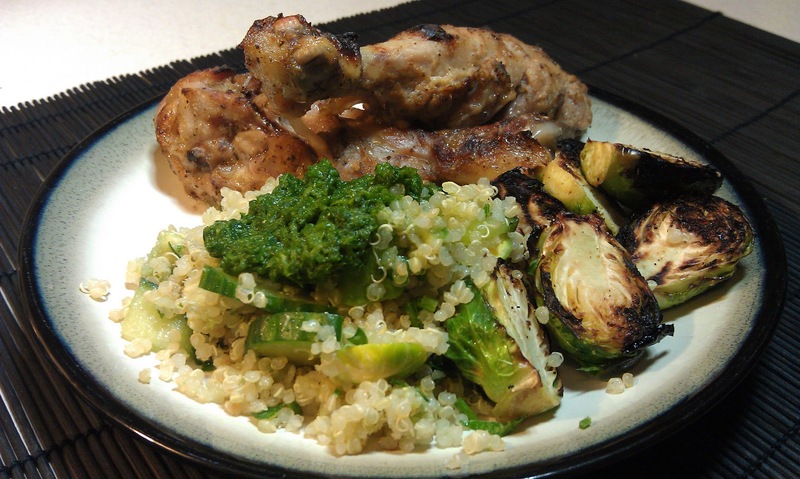 Served with Garlic broiled Brussels sprouts and Chicken Drumsticks marinated in pear, sage, and ginger. I did a more complex quinoa salad last week, but I wanted an easy low-amine side dish for tonight that resembled tabouleh, so put this easy mix of low-amine ingredients together and served it with low-amine cilantro chutney. 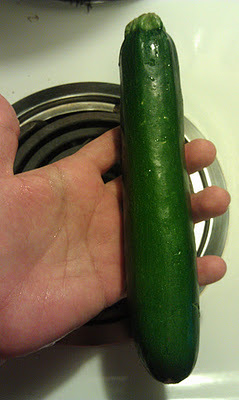 It went perfectly with the baked chicken (marinated in pear, ginger, and sage) and garlic broiled Brussels sprouts. 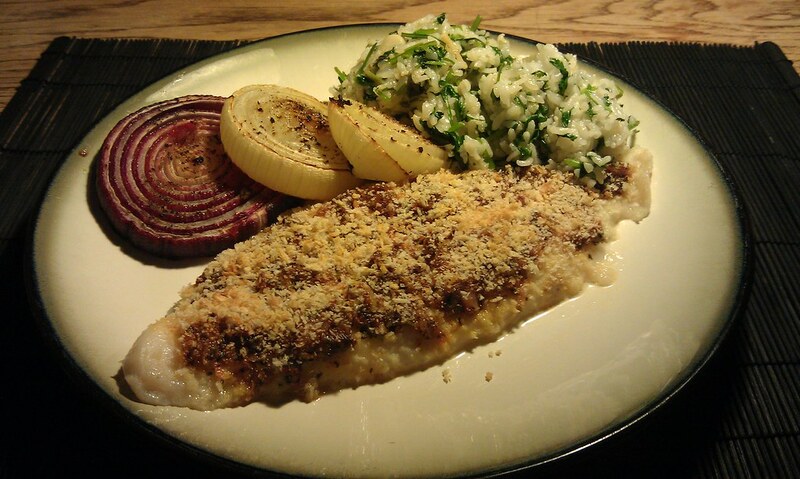 It was a simple, tasty meal that’s hard to get wrong! Rinse quinoa well, as it is a saponin (naturally a bit soapy). Not rinsing means bitter quinoa, and possible allergic reactions in some people. Drain carefully. 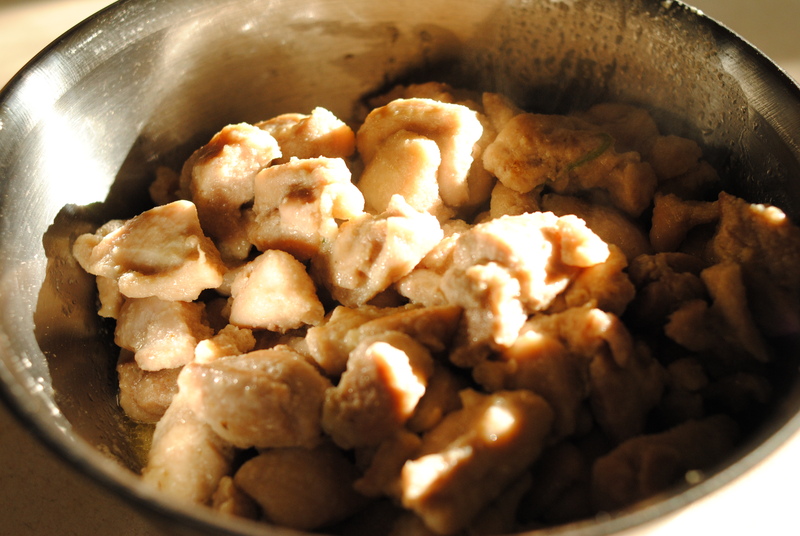 Add water and cook (in a rice cooker is preferred, as it is the easiest and most reliable method). 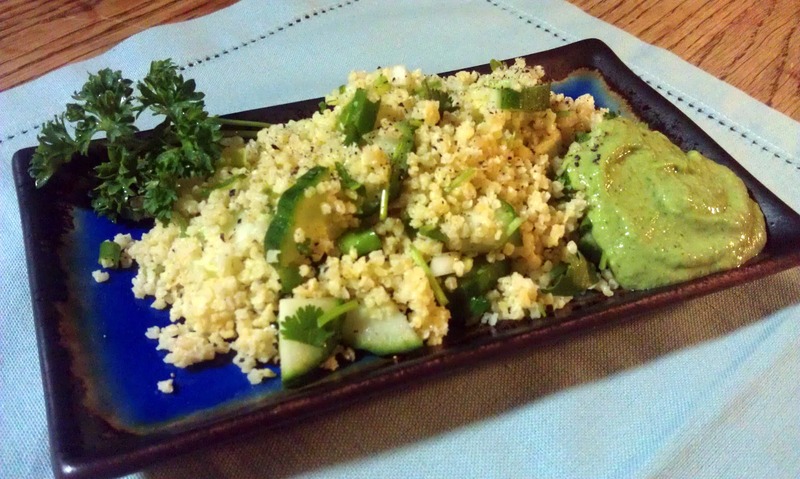 Add cooked quinoa, parsley, cucumber, salt, garlic powder, ascorbic acid, and safflower oil to a large bowl. Mix together thoroughly to ensure even dispersion of oil, salt, and ascorbic acid. Add diced avocado and gently mix together. 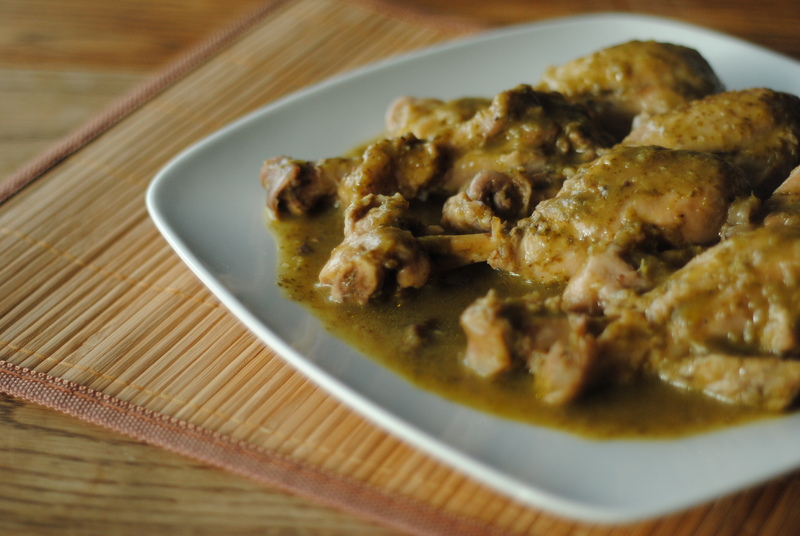 Serve with a large dollop of low-amine cilantro chutney on top. I wanted to make Cajun Spiced Beef Skewers, so needed a sauce. 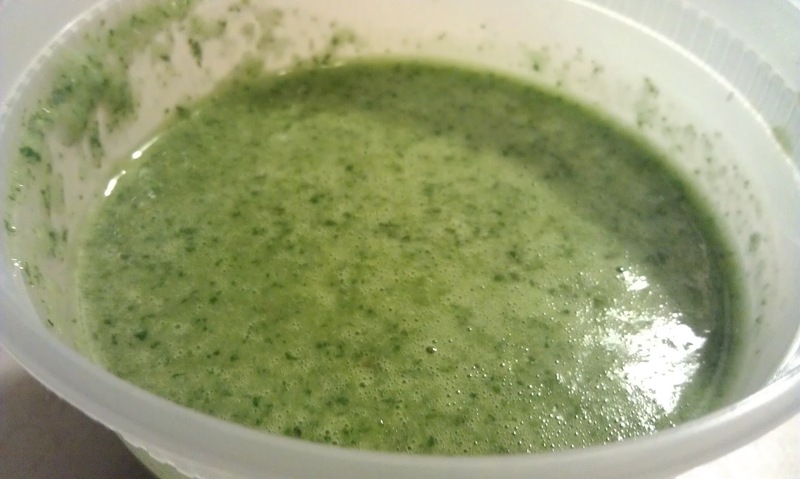 I’ve adapted a recipe for a Tangy Cilantro Dressing & Marinade from The Daily Dietribe to be low-amine. 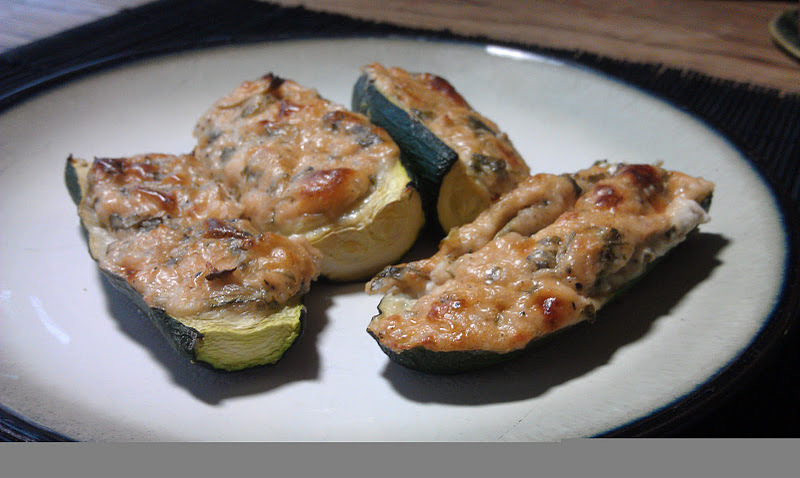 I used the sauce drizzled over the top of the skewers once served, and saved the rest as a salad dressing. 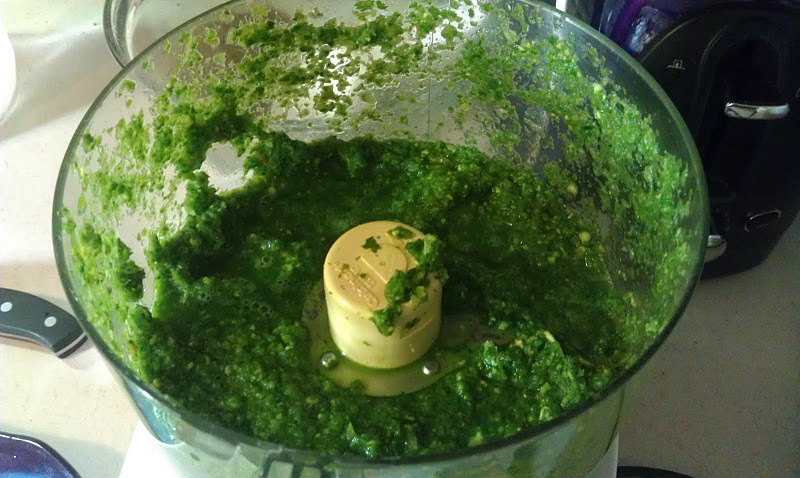 Blend cilantro, garlic, sugar, and lime juice in a food processor until well-processed. 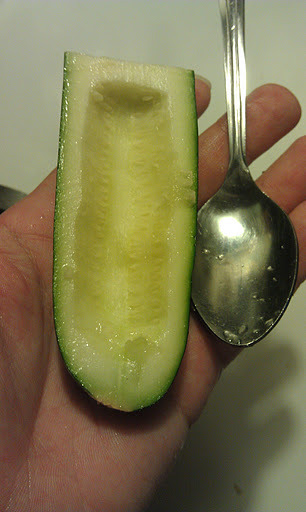 Serve with a dish, as a dressing, use as a low-amine marinade, or save in a bottle for later in the fridge. I love cilantro. I love it so much that I could literally eat it by the handful. Which is, essentially, what I end up doing when I make low amine cilantro chutney. Except it’s by the spoonful. Nom. 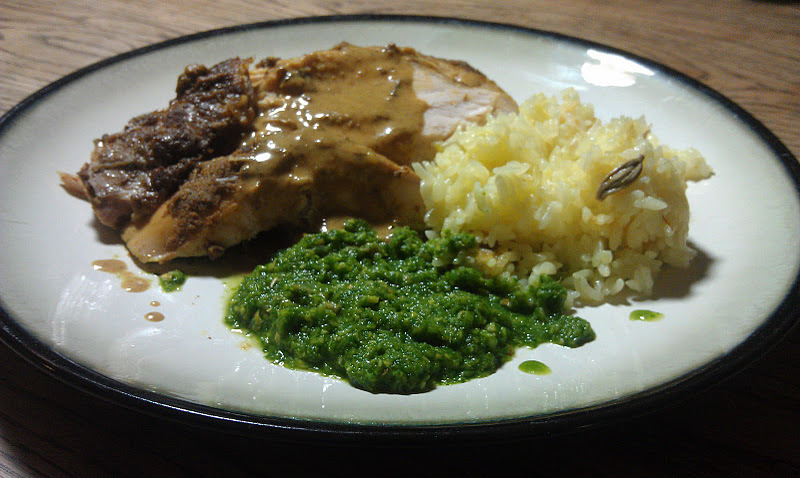 Put everything in a food processor and pulse until rough, then puree till mostly smooth. 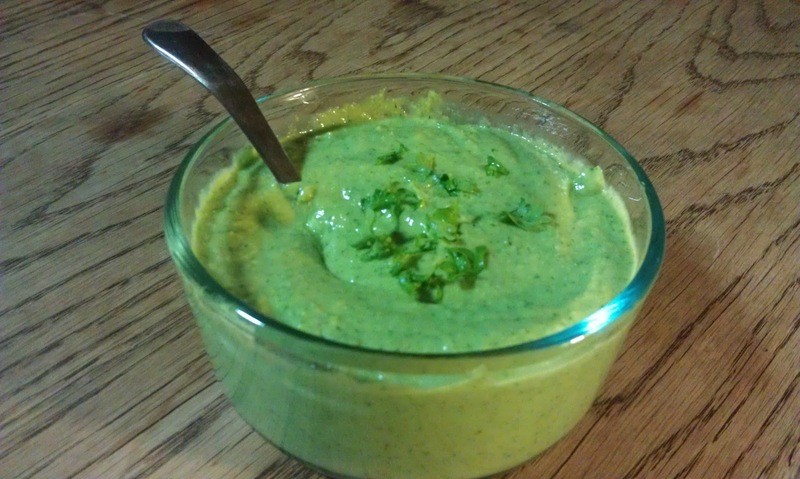 Serve, or just pour the cilantro chutney into your mouth straight from the container. That’s what I do. 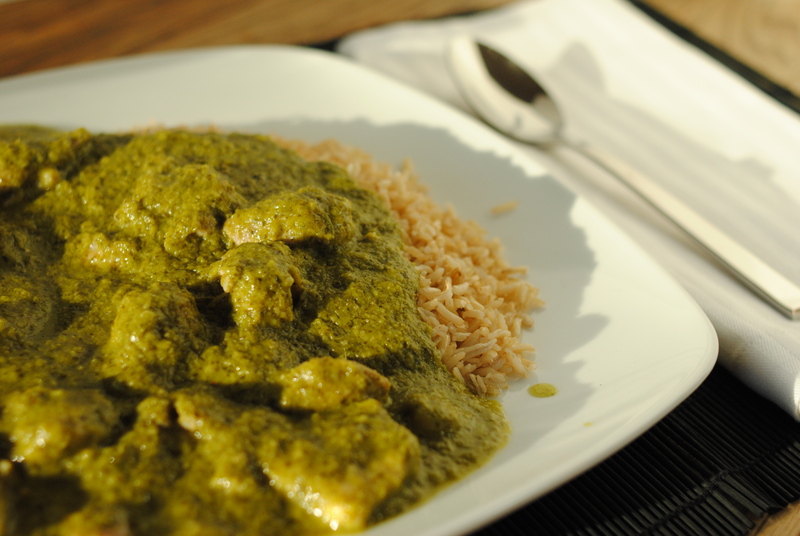 This simple low amine rice dish is a great accompaniment to most meals. 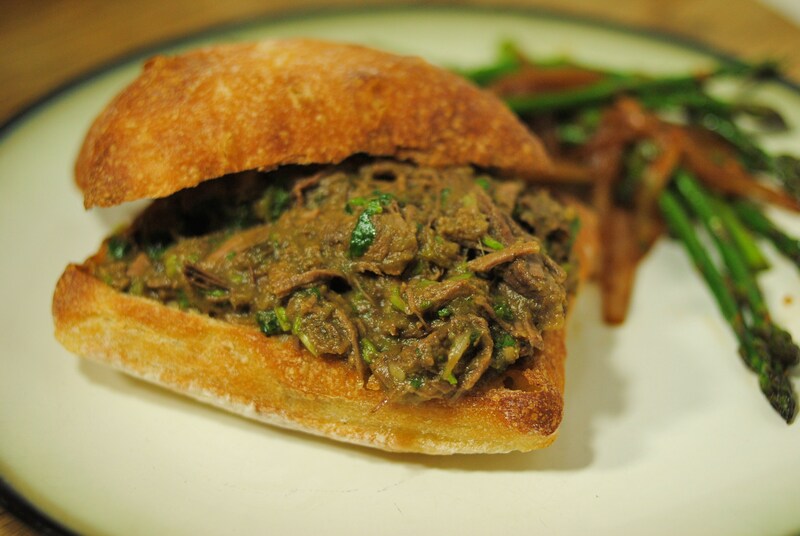 It has a slightly tart flavor to it, and the cilantro makes it very earthy. Add garlic and once it jut barely starts to brown, add rice. 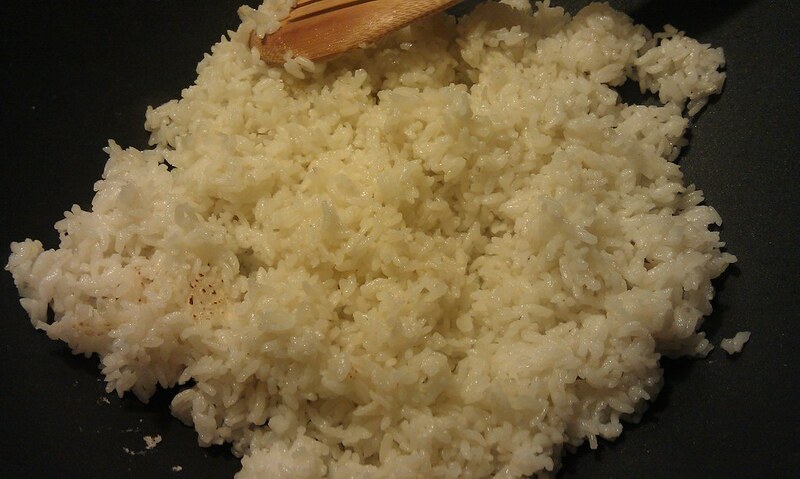 Stir often to ensure rice is evenly coated in oil and doesn’t stick to the pan. Add more oil if necessary. Cook until rice has started to crisp in parts (you might let it “stick” to the pan for short periods to get the right texture). 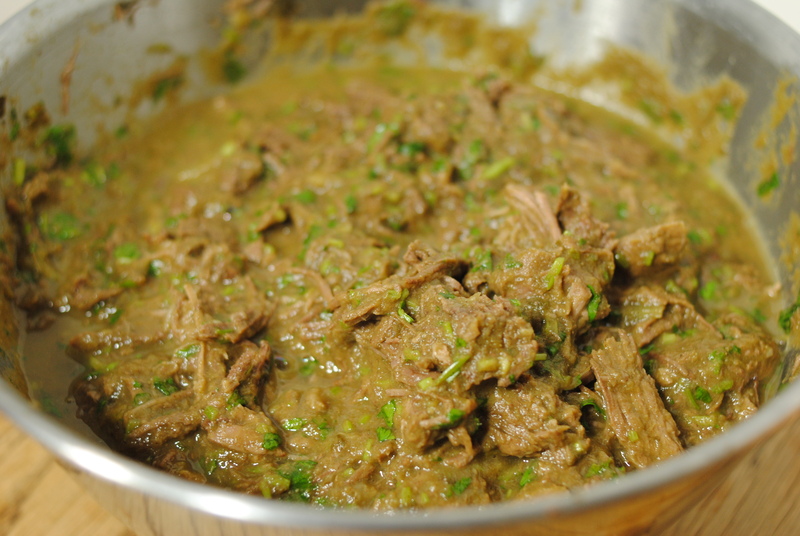 Add chopped cilantro, salt, and ascorbic acid mixture (or lime juice). Continue stirring while cilantro cooks down. 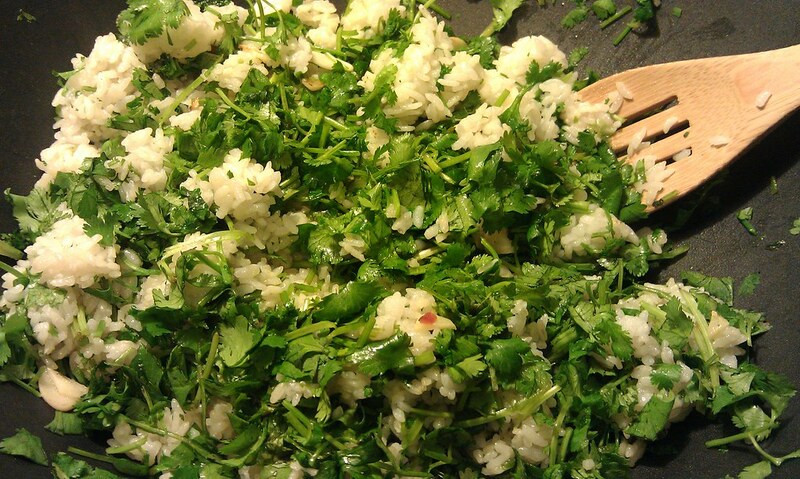 Once the cilantro is well mixed in and solidly wilted, you’re ready to serve.